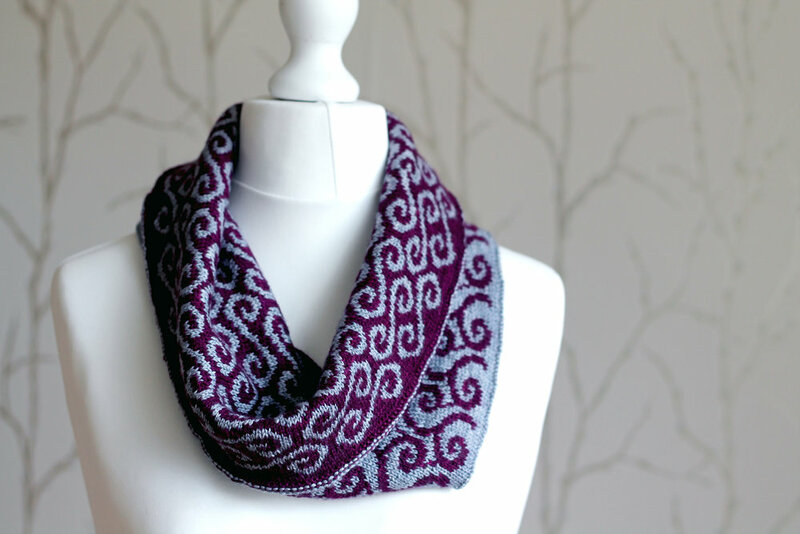 Doineann, or tempest, in Scottish Gaelic is a double layered stranded cowl with all the drama of any storm! The outside features stormy waves tossing in a storm and the inside represents the wild winds whipping them or why not switch things up so the waves are on the inside? With four layers of yarn sandwiched together, this cowl will keep you warm whatever the weather! The cowl is worked in stranded/fair isle knitting. 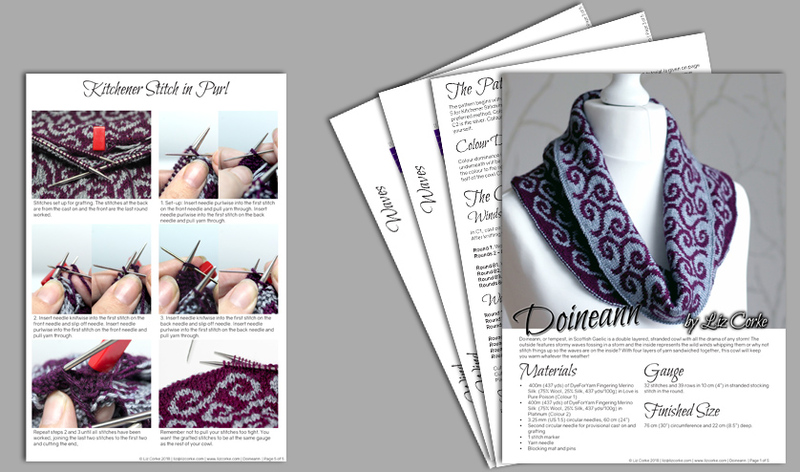 The colourwork pattern is charted only, with written instructions for the other rounds. As well as coloured charts there is a page with blank charts that you can print out and colour in with your choice of colours. The pattern also includes a photo tutorial for Kitchener Stitch in purl. The pattern has been tech edited and tested. 32 stitches and 39 rows in 10 cm (4”) in stranded stocking stitch in the round. 76 cm (30”) circumference and 22 cm (8.5”) deep.